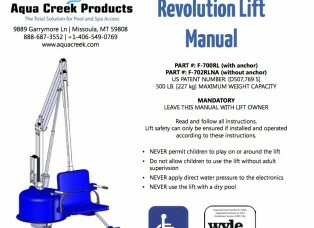 The Revolution™ Lift is the most versatile lift and is designed for BOTH in-ground and above-ground pools and spas. 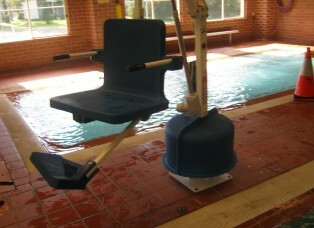 This lift can be adapted to most pools and also accommodate heavier patrons. 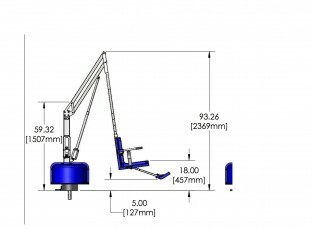 The Revolution™ Lift features multiple attachments to accommodate a variety of situations with ease to operator and aquatic staff.The Revolution™ is designed to be self operated by the individual user. With easy to use 4 button remote, the individual is able to control all movement and have fully independent aquatic accessibility.